It was December 2010, and my plans were simple: finish my book manuscript on the politics of free and open-source software hacking and spend time with my family on an island off the coast of Washington State. That is, until Anonymous once again reared its head. While family members went hiking during the day and watched movies late into the night, I huddled over my laptop obsessed with Anonymous: a name and a cluster of ideals taken by different individuals and groups to organize distinct and often unrelated actions, from fearsome pranks to human rights technology activism. Although by winter of 2008, individuals deployed various political demonstrations and activities under the banner of Anonymous (prior to this, the name was used almost exclusively to stage Internet pranks), it only fully entered public consciousness in December 2010. Unfolding before my eyes was a distributed denial of service (DDoS) campaign: #operationpayback. No doubt my research appeared rather lifeless to those around me; but what I was witnessing on Internet Relay Chat (IRC)—the central nervous system of so many geek and hacker interactions— was anything but boring. Normally home to lively, albeit quotidian and mundane conversation, scores of individuals populated the chat room #operationpayback, where actions were discussed and coordinated. At one point the channel ballooned to seven thousand participants and bots. Many were contributing to the DDoS campaign aimed directly at disabling the servers of Visa, Mastercard and PayPal. Julian Assange’s organization Wikileaks, had just caused a major political firestorm by releasing 220 leaked confidential diplomatic cables, and these companies were targeted by #operationpayback for refusing to accept donations to Wikileaks. A1: Can anyone in here confirm biella? A3: you know her A2? A2: if she would send me a DM on twitter, i could. A1: We may need to dispose of journalists from here in just a bit. A2: Hi biella, apologies for the kick. A1: We’re just usually very strict and sometimes a little paranoid of unidentified users in here. anonreporterX: Will anonymous ever appoint any kind of leadership or known spokes people? Why/why not? S: True leaders speak for everyone. M: Anonymous not longer is anonymous if it has an appointed leader..
j: a wild biella appears! 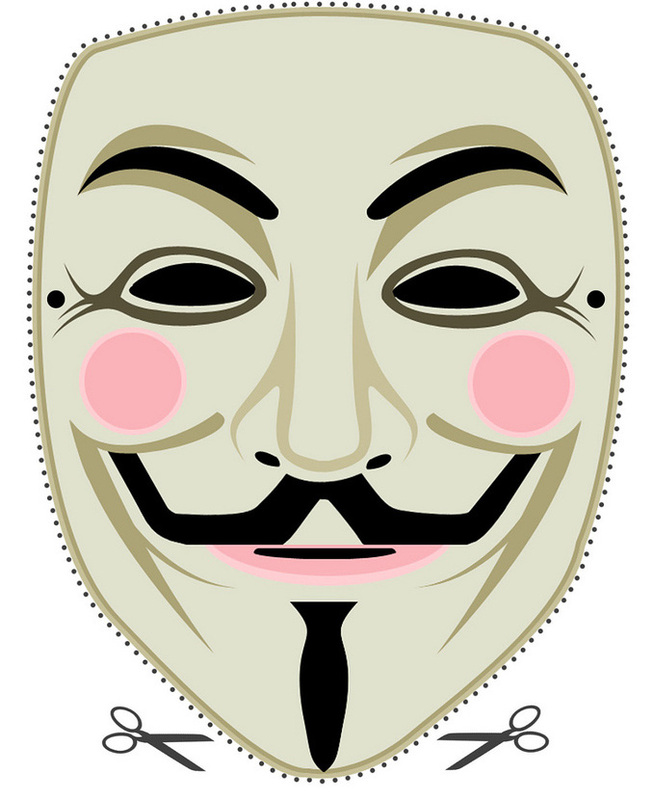 j: anonreporterX, where is it defined who does or does not represent Anonymous? As might be obvious, much of my time with Anonymous is spent chatting on public channels, in back channels, and with single Anons and often without much aim; while I ask Anons targeted questions, I also go with the flow, doing as everyone else around seems to be doing. The aimlessness is important, however, for it captures one of two important types of labor and interactivity valued by Anons. One is a form of charismatic sociality quite common on IRC where cleverness, cunning and playfulness garner attention and sometimes, even respect. The form of verbal interactivity and dexterity common to IRC is similar to a certain style of talk described as the “man of words” by the famed folklorist of African-American cultures Roger Abrahams. “A man of words is nothing” explains Abrahams, “unless he can, on the one hand, stitch together a startling piece of oratorical rhetoric, and on the other, capture the attention, the allegiance, and the admiration of the audience through his fluency, his strength of voice and his social maneuverability and psychological resilience.” Abrahams differentiates between two categories of the man of words: one who displays stunningly crafted rhetorical flourishes in formal settings; the other, springs to life informally and spontaneously on the street corner, the yard, and especially over rum, speech characterized by playful, lewd, and more crass talk. Unsurprisingly, it is this latter type of verbal play and dueling common to IRC, although with some important differences, given the unique technological features of this technical space. biella: like hacker types you mean? If Anons accrue respect from a combination of charismatic sociality and especially work, what about me? I am not running an IRC server, nor do engage in political actions. Certainly, all the hours I have poured into IRC has been central to forging lines of communication and building trust among (at least some) Anons. I can hold my own on IRC and I rather like chatting on IRC, which may explain why I have chosen to study geek and hacker worlds: collective worlds that are inseparable, at some fundamental level, from this communicative architecture. But at a certain point, it became patently obvious that my research was rather more complicated than simply “hard chatting on IRC.” I was also putting some labor into the collective pot. Indeed, I hold the dubious distinction of teaching roughly two dozen reporters how to find Anonymous and how to get on IRC to interview them. For most of the winter and spring of 2011, I helped shuttle reporters onto the channel designated for them. I subjected myself to the mindless repetition of being interviewed over eighty times by journalists. I have answered the same questions over and over again in print, in TV and in film interviews. After a few months of doing this type of media-work—and it quickly came to feel like the drudgery associated with some forms of work —it became evident that I was gaining some access, respect, and trust via these appearances, many Anons peppering me with comments, reflections, praise, and critiques after they watched a news segment, read an opinion piece, or watched some public lecture. My ethnographer’s magic, to borrow a famous term coined long ago by Bronislaw Malinowski, may lie in how I handle myself in public lectures and the media: something I never expected when commencing this project. The work of ethnography is often about the private lives and thoughts of individuals or concerns public modes of interaction, not acting as the public face, in this case, of a faceless entity. I have earned some measure respect because I have worked assiduously to dispel myths. And I have had to literally engage in some cunning to do so, because so many journalists, especially in the United States and the UK, have been keen on slotting Anonymous in the role of raging hackers, led by a small cohort of leaders, or some other distortion. In my many media appearances and talks, I state things that Anonymous themselves would not say (or would certainly put in different terms). Sometimes I just flat out contradict them. For instance, in the past, many Anons used to say “we are not hackers,” a claim that became much harder to make once the hack-as-leaking operations took off in March 2011. I would explain: there are hackers but Anonymous is not simply composed of hackers. And sometimes, most significantly, I am silent; there is a lot I don’t say or even currently put into written word. If Abraham’s identified the man of words, a mode of talk also integral to communicative life on IRC, it might be best to describe myself as the woman of measured words, at least when I appear in the media or when I give a talk. Since I am hyperaware Anons will critically asses, even at times dissect my statements, I am quite deliberate in what I say and don’t say in public, as I know this will affect and shape my access to them. This does not mean I am simply cowered into silence. In fact, being blunt about certain issues—like acknowledging how I too may be the object of misinformation—has brought some measure of approval. But it is always a question of cunning and craft as to how, where, and when to make statements about Anonymous. On IRC, like those around me, I often give way to the spontaneity of verbal play and meandering conversations. During my interaction with reporters, I take a distinct and measured stance. Most anons who pay attention to these things (many do not) witness these two sides, each performative in their own right, although requiring distinct forms cunning. Do these interactions—deliberate public media work and spontaneous socializing on IRC—make me Anonymous?